Search, social, video and the Millennial workforce are now the foundation for relentless innovation. Information is ubiquitous. Customer experience is the new competitive battleground. As the digital economy becomes more and more competitive, effective B2B selling strategies have never been more important. But too often, IT vendors simply equip their salesforce with telephones, expecting an over-rehearsed, pre-scripted cold call to drive customer engagement. Prospective customers see right through this impersonal approach, leaving them with a bad taste in their mouth. Not only that, but constant rejection can have a crippling effect on the morale of sales professionals. It’s time to stop sales from being stunted in a game of telephone — IT vendors must put the power back in the hands of the salesforce. More specifically, sales professionals need to feel empowered with creative power. By coupling the convenience of digital tools with the diversity of design thinking, sales professionals are given the freedom to think outside the box and create experiences that are tailored to each customer. Although the move from a deductive to an abductive thought process may seem too abstract to instill on an existing salesforce, certain tools and processes can be used to empower employees in this new, creative way of thinking. Establishing internal channels to share ideas and successes among the salesforce can spur conversation and facilitate peer-to-peer learning. Is your junior staff having a tough time closing a deal? Reach out to someone that’s been there before. Did you just land a massive account? Share the wealth (or at least the knowledge) and help others in your organization win by leveraging your key learnings. Today’s consumer is far more likely to engage with messages via their social channels than they are to listen to their voicemail. Providing the salesforce with social media best practices and tools for social engagement allows them to easily craft tailored messages that reach the prospective customer through their preferred channel. Building on the use of convenient channels, sales professionals should be empowered with tools to make messages as engaging as possible. In a world where attention spans are shrinking, resources to create targeted videos, infographics or gamified messages can go a long way in spurring customer conversation. This list is by no means exhaustive — there are numerous ways to ensure a relationship-first approach to the customer experience. Many businesses have a tendency to overcomplicate engagements with customers, but ultimately, the key to success is to remember that they’re people just like us (not just another name on a spreadsheet). Let technology do the hard part on the back end, so your salesforce can get back to doing what they do best — creating new relationships and closing deals. The best way forward is to get out there and get creative! Once you have the proper tools in place, how you use them is up to you! Mark Aboud serves as Global Head of Digital Transformation Office for General Business at SAP. 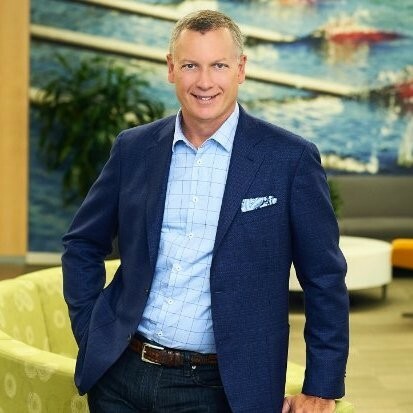 Prior to joining SAP, he held a number of executive positions at Oracle Corporation, including Managing Director of Oracle Canada and group Vice President for OracleDirect North America. He graduated from the University of Western Ontario with a Bachelor of Science degree in Computer Science.